A big, if unwieldy, headset with excellent sound and near-perfect mic. 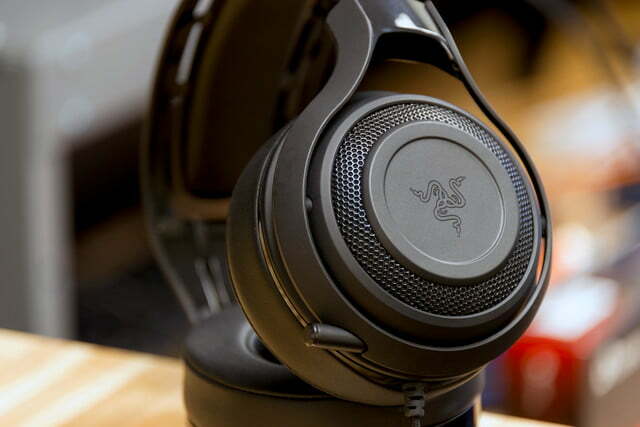 Razer may be showing hubris by applying the name of ManO’War — a title once used by the British navy to denote its most powerful warships, and later given to a deadly class of jellyfish – to one of its new headsets, but we’ve found this particular model lives up to its name. 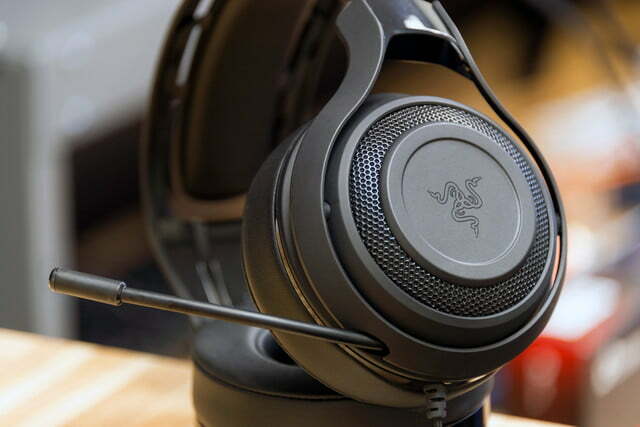 With massive, hull-like construction, a noise-cancelling mic, and cannon-like speakers, the Razer ManO’War 7.1 headset delivers deadly performance for the money. Razer encases the ManO’War 7.1 in a sleek green box that easily pops open, exposing the headset, a 7.1-audio USB adapter, extension cord, and analog volume controls latched into the casing. Once removed, the ManO’War 7.1 make a daunting visual impression. They’re big, with a large black frame that evokes a sense of power. The ear cups larger than your average pair of headphones, and cover a large area around the ear. However, once you pick these suckers up, the reality of their build shatters any illusion of heft. Despite the sturdy, bulky design, they’re surprisingly light… almost too light, given their appearance. There is a plastic-y, hollow feel to the overall quality that undermines how sturdy the headset appears. 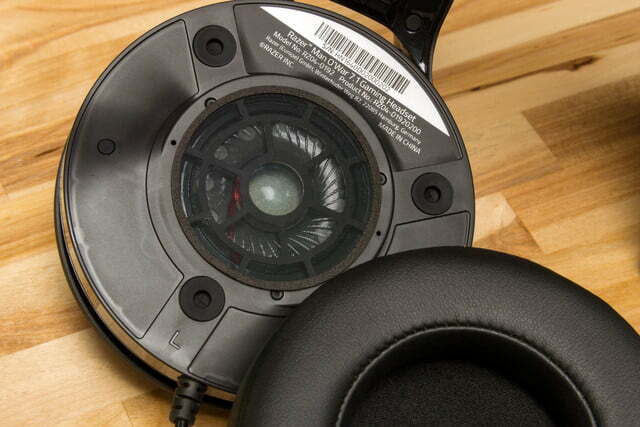 This is compounded by the squeaky, clattering sounds the plastic makes when the ear cups swivel. 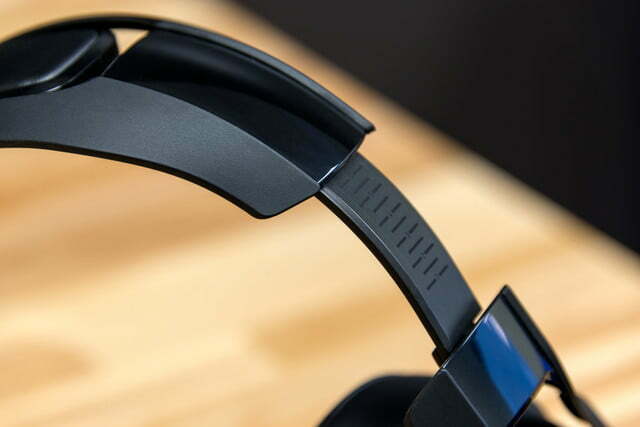 Thankfully, that light weight actually works in the headset’s favor, as it wears light on the head, which is in keeping with its comfortable design. The ManO’War 7.1’s large ear cups are generously padded, delivering a light a fluffy compress suited in leatherette for a very comfortable fit. That inviting feel extends to the headband, which is similarly padded. The headband is also wide — a tad too wide for us, as it turns out. 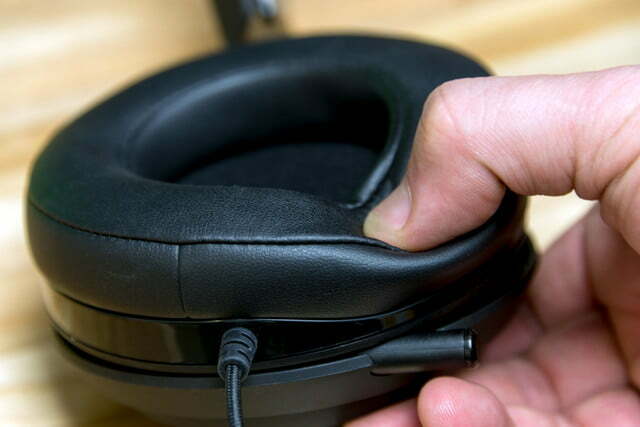 At its shortest setting, the ManO’War 7.1 sits low on the ears. For us, the top of the cups rested on the tops of the ears, resulting in pressure and minor discomfort after long periods of play. Furthermore, because of how low they sit, the base of the cups pressed into the neck below the jaw, which also created some discomfort. The Man O’ War 7.1 produce bombastic, rich sound that never sounds overpowered or hot. This discomfort isn’t caused by clamping pressure per se, which is slightly too loose given how big the headset is. It’s also not due to a lack of padding. Instead, any discomfort from long-term use was due to the headset resting on parts of the ears and head not used to feeling pressure. Thankfully, even when at its most uncomfortable, the ManO’War 7.1 weren’t all that bad, and it is important to note that individual results will vary based on head size and other anatomical factors. The headset’s microphone retracts smoothly into the left ear cup to mute – a great feature removing any potential for losing the mic or breaking it while in use. Volume and mute controls sit on the input cord, and while the dial can be sensitive, it’s nevertheless a smooth and simple method for controlling volume. We’ve established the ManO’War 7.1 are physically large, but do they sound as big as they look? The ManO’War 7.1 sound great. 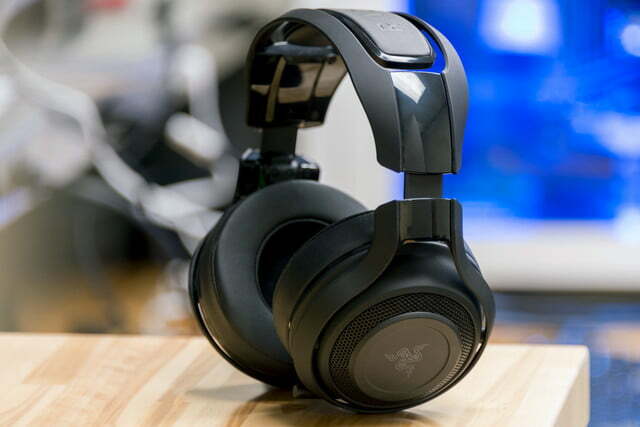 This tank of a headset sounds surprisingly roomy and gentle, allowing nuanced details to be well represented in the mix — whether that be gameplay sound effects, or the individual instruments of a song. Compared to the Prismatic Afterglow, which provides a tight mix and punchy high end, the ManO’War 7.1’s sound reads more relaxed. There’s quite a bit of space in the upper register that isn’t present in the bass, but overall things sound balanced and weighty without being overpowering. Take, for example, our experience with DOOM. Small subtleties like footsteps on Martian sand or the mechanical click of an automatic door sounded appropriately crisp. Yet, when combat scenarios had scores of demons screeching, throwing fire balls, and taking a face-full of our super shotgun’s business end, the ManO’War 7.1 produced bombastic, rich sound that never sounded overpowered or hot. This excellent audio output comes with the added benefit of accurate virtual 7.1 surround sound when using the included USB adapter, further enhancing the headset’s directionality and allowing us to keep our bearings. That openness to the mix directly benefits the ManO’War 7.1’s already impressive stereo directionality. When you’re playing a game, the location of action sounds or effects feel accurate and are more believable than simply having the sound panned hard to the left or right. Similarly, listening to music is a joy on the ManO’War 7.1, again for the very same reasons previously mentioned. Instruments sounded textured, and subtler elements were fully present that normally would be diminished in other headsets. Returning, again, to the DOOM example, the game’s varied soundtrack, which features everything from ambient tones to extreme metal and heavy electronic music, and even a creepy choral verse or two, sounded great through the ManO’War 7.1. 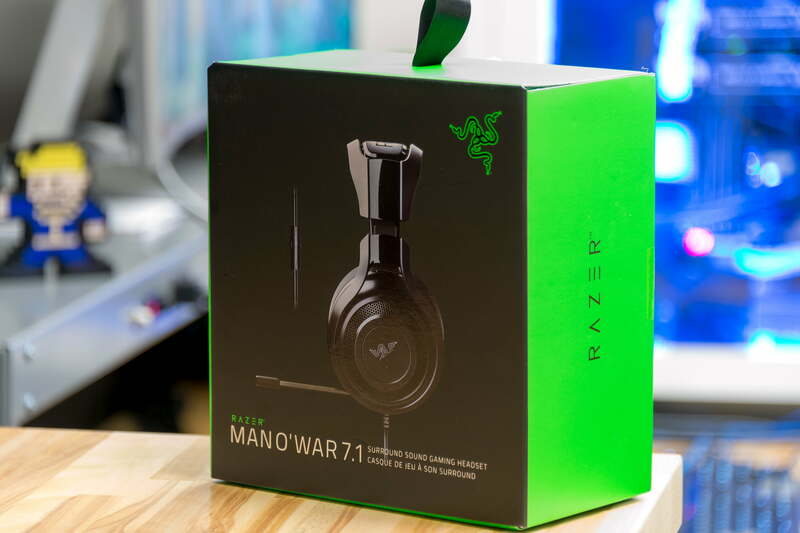 Razer’s ManO’War 7.1 7.1 make a daunting visual impression. 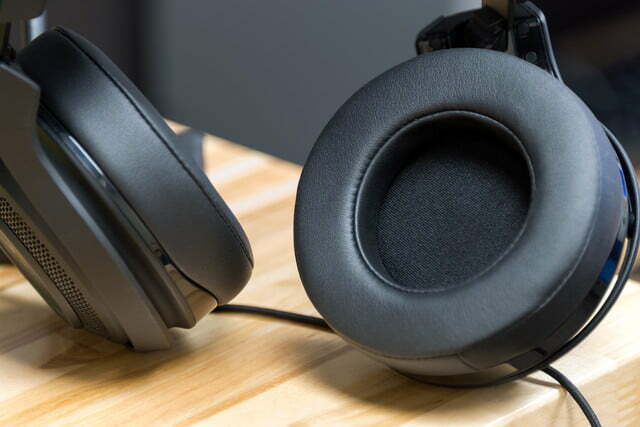 While audio quality is the primary performance factor for a headset, mic quality is also of serious concern, and here the ManO’War 7.1 once again executes famously. The mic sits on the end of a super flexible, yet structurally sound arm, and picks up the wearer’s voice at decent distances while expertly cancelling out external sound. For those on the receiving end, voices are clear, and delivered without excess environmental noise. There is one aspect where we noticed some shortcomings with the ManO’War 7.1, despite its overall impressive performance. As noted above, the headset features a wired connection. 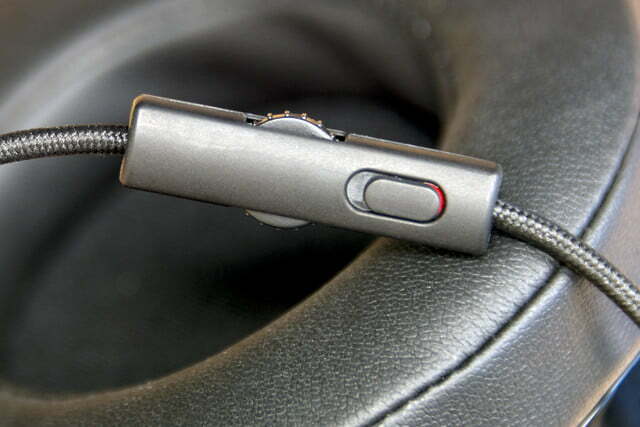 The standard cable plugs into a 3.5mm jack, or can be converted to USB connection via USB. We found the standard 3.5mm jack to be particular about how far it wanted to be plugged in in order to output proper sound. Plugging it all the way in produced fuzzy, incomplete playback. This was lessened using the included extension cable, and completely rectified when listening via USB, but it’s nevertheless an annoyance that bears mentioning, especially since Xbox One and Mobile users are relegated to 3.5mm input. Razer offers a two-year warranty protecting against any defects or malfunctions due to its workmanship, assuming normal use. While they may be a bit large for some users, the Razer ManO’War 7.1 deliver outstanding audio and mic performance with superior virtual 7.1 surround soundn effects. Add it all up and The Razer ManO’War 7.1 chalk up to one of the best values in wired gaming headsets on the market. At this price point, no. 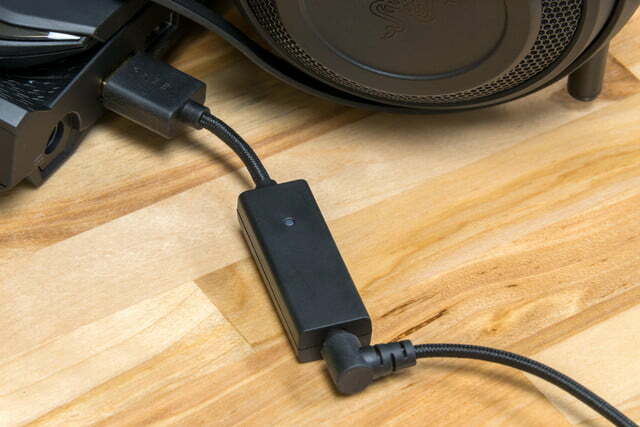 This wired version is compatible with just about everything — PC, Mac, PlayStation 4, Xbox One, mobile devices, or plugging directly into a monitor or speaker’s audio out — making it as versatile as it is high quality. While its size proved to be a limiting factor, your mileage may vary. 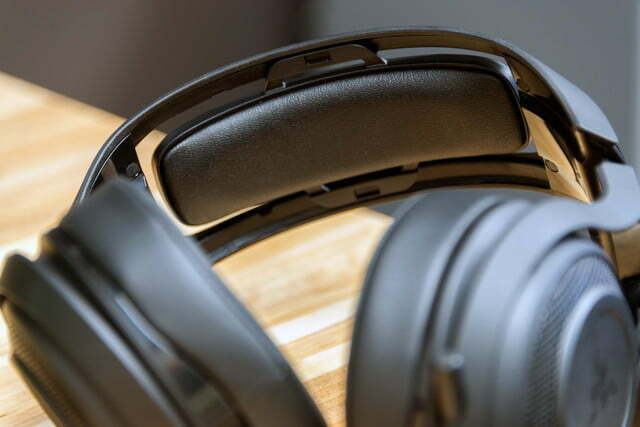 Certainly, as a mobile headset, the ManO’War 7.1 may be a bit much, but if it’s top-quality sound and mic performance you’re after, we’ve yet to experience a superior alternative. Despite its appearance as a bruiser, the plastic material the ManO’War 7.1 is built with isn’t going to take a brutal beating. That said, we can’t say enough about the quality of the speakers and mic, which not only performed well, but did so despite being put through the ringer. For the average game player, this is a perfect buy. 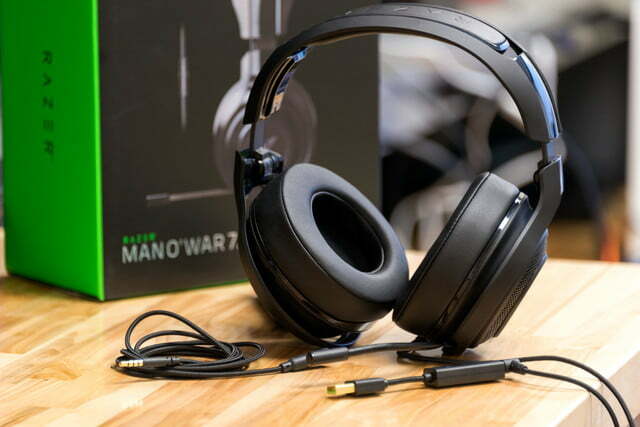 If you’re looking into something for a younger gamer, or are seeking a suitable mobile gaming headset, the ManO’War 7.1’s size make it difficult to recommend in these cases. But those caveats aside, we heartily recommend it.